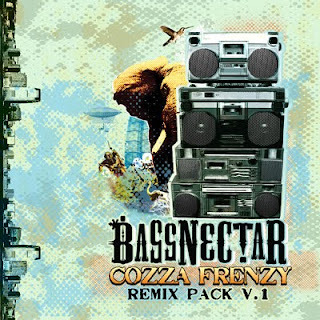 You all probably heard about a new fat and dope pack of Bassnectar remixes of his highly acclaimed Cozza Frenzy album. The remixers include Stagga, DJ Vadim, Noah D, Roommate, J.Boogie, RJD2, and finally Robot Koch. The master of twisted beats, bleeps and vintage sound treats from Berlin has proved his fantastic production skills again offering one of the best reworks in the pack, next to crazy Stagga's trademark wobbly bassline joint. Robot Koch totally abandoned the characteristic Bassnectar melodic synths-driven bassline of the original adding more stomping, fast drums, pads and changing the bassline into heavy, whompy biznis. Serious head-nodding highly required in this case. Gimme more mister! That's not all from Robot Koch. 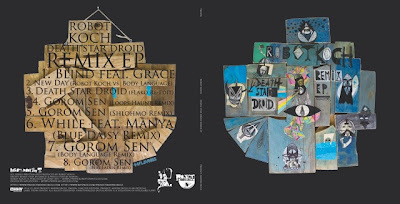 On 26th February he will release the EP with remixes of his fantastic debut full-lenth album Death Star Droid. For me personally it was the record of 2009, thus I'm very very anxhiously waiting for this pack to drop. The more so, as remixers include a few of the super hot names on the future beat circuit, like e.g. UK's wunderkid Loops Haunt or SF-based youngster Shlohmo!!!! As a foretaste, and as a gift for for a free dowload, here is a Phon.o refix of Gorom Sen. It's a great dancefloor-oriented roller with beautiful synths and pumping beats. Cop it and blast it looouuud!